Achievements: Monty was a dream to show as you can see. Multi in Group and In Show at all breeds and Multi – Specialty Class Winner under Australian, English Specialty and International Judges. 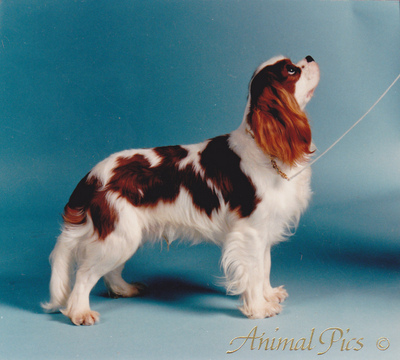 One of his more famous wins was under John Evans at the Victorian Cavalier King Charles Spaniel Club Show 1995 – Junior in Show, He then went on to win Reserve Challenge Sydney Royal.